To enter, individuals must, during the competition period, visit www.mindfood.com follow the prompts on the competition entry page, input the requested details including the answer in 50 words or less to the following question “What is your favourite memory involving your mum?” and submit the fully completed entry form. 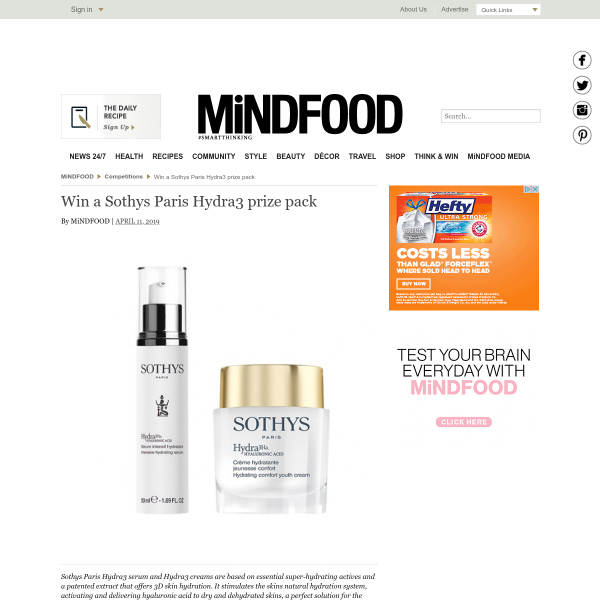 The Promoter has three Sothys Paris Hydra3 packs (includes hydra3 Comfort Cream and the Hydra3 Serum) to give away, valued at $190. Total prize value is $570. Prizes are not transferable or exchangeable and cannot be taken as cash.